More and more Australians want to learn about reconciliation with Aboriginal people: What's the meaning of reconciliation? How can you contribute? Here are your answers. In its broadest sense ‘reconciliation’ means 'coming together'. In Australia, 'reconciliation' refers to bringing together Aboriginal people and Torres Strait Islanders and other Australians. Reconciliation is not something that one decides to ‘do’ – it is a process, at the end of which there may be reconciliation, but this can never be guaranteed. Reconciliation has elements of truth, justice, forgiveness, healing, reparation, and love. Supporting reconciliation means working to overcome the division (often called "the gap") and inequality between Aboriginal and non-Aboriginal people. Differences are biggest in health, income, living standards and life expectancy, but also prejudice and racism. 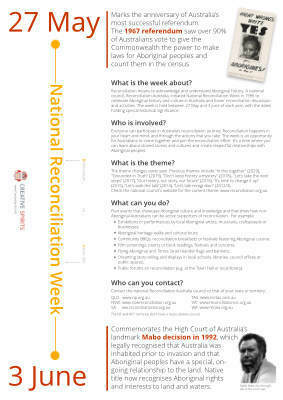 Download the infographic about National Reconciliation Week to understand the two historic events that frame a week full of activities, and what you can do to help reconciliation. When started the reconciliation process in Australia? The process of Reconciliation formally began as a result of the Report of the Royal Commission into Aboriginal Deaths in Custody in 1991. The government formed the Council for Aboriginal Reconciliation, setting a 10 year timeframe to advance a national process of reconciliation. Among the Council's tasks was to address Aboriginal disadvantage and aspirations in employment, health infrastructure and economic development. The Council's formation was an acknowledgment of the past and ongoing failure of government policy to recognise and address the cultural, social and economic needs of Aboriginal Australians. It was also recognition that progress also required a sea change in the understanding and involvement of non-Aboriginal Australians. While the reconciliation process has successfully motivated and moved thousands of ordinary people, court decisions, laws and political developments made the reconciliation process much harder. The Australian Capital Territory became the first state or territory to recognise reconciliation with a public holiday when it changed its Family & Community Day to become a Reconciliation Day public holiday in 2018. It will now be the first Monday on or after 27 May. Reconciliation happens locally and individually. There is no definitive process that is foolproof and universal. Reconciliation is often an arduous, painful, and thankless affair, as people attempt to deal with haunting memories of past atrocities and how to overcome them . It is a bottom-up process that occurs one person at a time, but that also requires support from official institutions and strong leaders. Throughout history reconciliation helped people care for and understand one another. For example, after World War II, the Marshall Plan assured that the defeated countries' people were looked after--contrary to World War I where they were humiliated and destroyed. Reconciling with former enemies helps avoid feelings of revenge, anger and hatred. It is the only way to assure lasting peace and stability. Once we have reconciled our past we can much better walk together into a shared future. Aboriginal elder: "We do not accept reconciliation"
Aboriginal elder Wadjularbinna Nullyarimma, a supporter of the Aboriginal Tent Embassy, talks about reconciliation and Reconciliation Place in Canberra . How does this point of view compare to other sources you have read? Which topics of Aboriginal politics are important to Aunty Wadjularbinna? "The Federal government opposes everything the platform of the Tent Embassy stands for and constantly tries to remove us. Less than 100 metres away they [have built] Reconciliation Place to fool Australians and the rest of the world into believing that we accept reconciliation. But we do not. Reconciliation Place even goes against our spiritual and religious beliefs because, in our culture, we do not worship monuments or idols. It is for the benefit the Commonwealth government as a propaganda exercise and a money-making venture from tourism at our expense. The government is trying to conceal what they are doing to us--stealing our lands, harming our people and destroying our culture. There can be no reconciliation without justice. When all of these issues are dealt with, reconciliation will happen automatically and they will not have to build monuments to prove reconciliation. Reconciliation Place is about creating a ‘warm and fuzzy’ feeling for the government and Australians in general. It is not recognition of our grief and pain. It can never heal our pain, suffering and trauma, but, instead, will be a constant reminder of the evil acts of the colonists, who we believe are the Masters of Terrorism, oppressing many Peoples around the world." 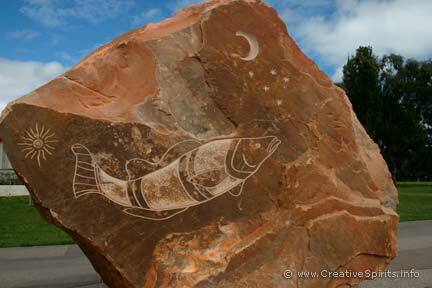 A carved sandstone at Reconciliation Place, Canberra. Aboriginal people's view about reconciliation can be vastly different to that of non-Aboriginal people and the government. How can I start thinking 'reconciliation'? 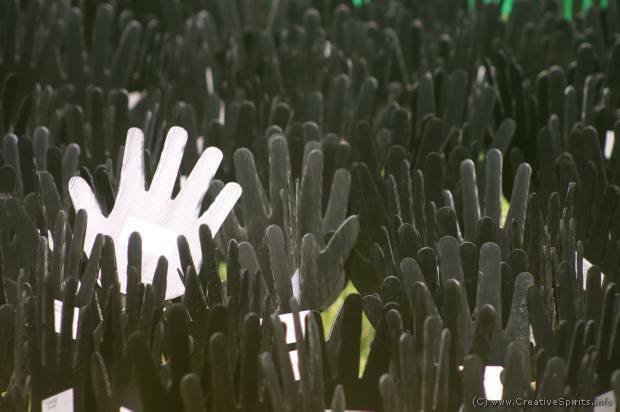 Reconciliation has both symbolic and practical elements. A spirit of goodwill, mutual respect and recognition of the effects of colonisation on Aboriginal people are the symbolic cornerstones of the reconciliation effort. On the practical side, working towards an improved quality of life for Aboriginal people and Torres Strait Islanders, particularly in areas such as health, education and employment, is essential for achieving equality for all Australians. Aboriginal people and Torres Strait Islanders are the traditional owners of Australia. Aboriginal cultures have unique relationships to the land, sea and waterways. Some past government policies that applied to Aboriginal people and Torres Strait Islanders have led to present-day social problems for Aboriginal communities. 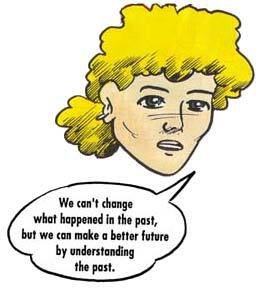 Recognition of past injustices is essential in building a better future. There is no place for racism or discrimination in Australia. Read what you can do to learn about and support Aboriginal culture. The following summarises a story  that can encourage students to rethink their attitudes towards Aboriginal people. On school holidays, at a little creek with a footbridge built over it, local kids love to leap into the water. A lot of Aboriginal families live nearby, so it's not unusual to find dozens of Aboriginal kids swarming over the bridge, inventing ways to make their plunge more spectacular and dangerous. A white family with two daughters stumble upon this scene, and the two white girls are dying to join in. Not a harsh word or smart-arse comment the entire two hours the white family is there. It was the realest, best thing the two girls did all week and it's all they've talked about for a long time after. What would have happened if a visiting Aboriginal family had pulled up and joined in with a group of local white kids on 'their' turf'? Imagine what the white kids would have said in response to the Aboriginal children's request to join. Note - and question - your use of words such as "they" and "we". Is it appropriate? What is actually "ours"? Appointment of Council's first Aboriginal Liaison Officer - 1997. Many companies and government departments have introduced Reconciliation Action Plans (RAPs, see below). Development and implementation of NAIDOC Week Planning Committee activities since 1998. The official saying of Sorry by the Council to the Aboriginal Community 22 June 1999. The carrying of the Olympic Torch by Aboriginal Elder and Boxer, William Morris 2000. Apology to the Stolen Generations in 2008. Roads and Traffic Authority Learner Program for Aboriginal drivers. Campaign for constitutional recognition of Aboriginal Australians (started in 2012). The Australian Capital Territory changed its Family & Community Day to become a Reconciliation Day public holiday in 2018. The Australian Reconciliation Barometer is a national research study that looks at the relationship between Aboriginal and Torres Strait Islander peoples and other Australians. Designed to be repeated every two years; the Barometer explores how we see and feel about each other, and how these perceptions affect progress towards reconciliation. So far results have been published for 2008 and 2010. Visit the Australian Reconciliation Barometer to download the reports. 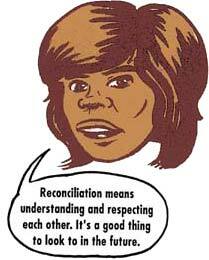 What is a Reconciliation Action Plan (RAP)? On 25 July 2006 Reconciliation Australia launched their Reconciliation Action Plan (RAP) program. Its main aim is to help organisations close the life expectancy gap between Aboriginal and non-Aboriginal Australians with measurable and accountable actions. Reconciliation Action Plans (RAPs) provide a framework to directly improve relationships and respect between Aboriginal and Torres Strait Islander peoples and other Australians. RAPs must be developed in consultation with Aboriginal stakeholders and be measurable, action-oriented and publicly accountable. They may include small initial steps or decisions for major changes. The most inspiring RAPs come from companies that have thought about what reconciliation means to them and how their organisation can make a unique and lasting difference. Provide cultural awareness training. Encourage all staff to take a keen interest in learning about and celebrating Aboriginal traditional and modern culture. You can have Aboriginal elders speak, distribute fact sheets among staff, or spread the good news about Aboriginal Australia (media already covers the bad news). Create jobs for Aboriginal people. Aboriginal people need jobs in corporate Australia, small and large businesses and across all levels of government, and not just in roles dealing with Aboriginal issues. More Aboriginal people should be in management and executive positions, leading community projects, and recruiting and training Aboriginal and non-Aboriginal staff. Add "Aboriginal applicants welcome" to all your job ads. Acknowledge traditional owners. Acknowledge the traditional owners and of Aboriginal people as the custodians of the land at major meetings and events. Let Aboriginal children raise the Aboriginal and Torres Strait Islander flags. Permanently show the flags in your publications, websites, etc. Form partnerships. Create positive and productive working partnerships with Aboriginal organisations. Strong relationships bring different skills and perspectives to the table and encourage innovation, success and excellence. Contact the Australian Indigenous Minority Supplier Council for certified Aboriginal-owned suppliers of goods and services. Sponsor events. Sponsor events in remote Aboriginal communities. Consult with local Aboriginal elders to find out what the community needs, then work with them to help provide these goods or services. always write "Aboriginal people", don't write "Indigenous" or "indigenous"
Between 2006 and 2011 more than 300 organisations have implemented RAPs, including some of Australia's largest companies, not-for-profits, government departments, schools and universities . More than 20,000 people of RAP organisations have completed formal cultural awareness training. Organisations have committed to employing more than 21,000 Aboriginal people, and by May 2012 over 13,000 positions were filled . 1,000 Aboriginal youth were in apprenticeships and traineeships. $26 million were spent purchasing goods and services from certified Aboriginal businesses. Reconciliation Australia can help identify actions that fulfil the requirements mentioned earlier. Browse Reconciliation Australia's searchable database of RAPs to get an idea what other organisations have done. What is the National Reconciliation Week about? Click the infographic image above to get your copy (immediate download). In 1993 faith communities of Australia started the Week of Prayer for Reconciliation. Following its success, the week was expanded in 1996 to become National Reconciliation Week (NRW) to provide nationwide focus for all reconciliation activities. This is a time for all Australians to commit to changes and actions within their circle of influence to contribute to a more mature and inclusive Australian community. Each year, National Reconciliation Week has a different theme. Some past themes have been Communities working Together (1998), Walking Together (1999), Sharing our future: The next steps (2000), Reconciliation: Keeping the Flame Alive (2001), Reconciliation: It’s Not Hard to Understand (2003) and Let's talk recognition! (2011). National Reconciliation Week falls between 27 May and 3 June – two significant dates in the relations between Aboriginal and non-Aboriginal Australians, the anniversary of the 1967 referendum and Mabo Day, the anniversary of the 1992 High Court judgment in the Mabo case. The NRW theme for 2019 is "Grounded in Truth – Walk Together with Courage". To foster positive race relations, the relationship between Aboriginal and Torres Strait Islander people and the broader community must be grounded in a foundation of truth. Whether you’re engaging in challenging conversations or unlearning and relearning what you know, this journey requires all of us to walk together with courage. Reconciliation Australia is an independent, not-for-profit organisation established in 2000 by the former Council for Aboriginal Reconciliation. They are the peak national organisation building and promoting reconciliation between Indigenous and non-Indigenous Australians for the wellbeing of the nation. The Reconcile website was developed pro bono for Reconciliation Australia. Its purpose is to create an online resource for people nationwide to learn and discuss the importance of reconciliation and how we can all go about achieving it. ANTaR is an independent, national network of mainly non-Indigenous organisations and individuals working in support of justice for Aboriginal and Torres Strait Islander peoples in Australia. Reconciliation is not unique to Australia. Canada is working towards implementing all of the Truth and Reconciliation Commission's 1994 recommendations for its Aboriginal people. The Truth and Reconciliation Commission created a report about abuses within government residential schools of Aboriginal children. An estimated 150,000 Aboriginal children were also forcibly removed from their families to break their link to their culture and identity and assimilate them into mainstream society. Canada apologised in 2008 to survivors of the residential schools.